In TOME, you have access to three of your Guardian’s abilities at level 1. These get stronger automatically as you level up. Your fourth ability, or “Ultimate”, is unlocked at level six. After avoiding damage for a short time, your Guardian will begin to regenerate Health. Ability use is limited by Cooldowns. Mana does not exist for Guardian abilities. *tip* Retreat from a fight to ensure your health will fully replenish, so you can get back into battle even stronger! 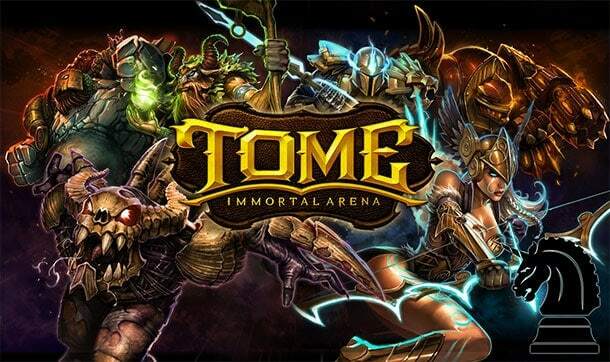 There are four main stats in TOME: Health, Might, Attack Speed and Movement Speed. Higher health levels will allow your Guardian to survive longer in battle. A higher Might rating will improve all of your abilities and makes your basic attacks hit for more and become more effective. A higher Attack Speed means that you will deal more damage per second with your basic attacks. And a higher Move Speed means you move faster around the map. Towers have ammunition. It is best to attack them when they are low on ammo, which makes them cause less damage. Tower ammunition does regenerate over time however. Giving your tower time to regenerate is vital to your team’s success. Like in most MOBAs, you’ll want to keep your towers up for as long as possible to help you win the game. Each time you destroy an enemy tower, your newly spawned minions will have more health and deal more damage. It is important to keep taking down the enemies towers before they take out yours, so that your stronger minions can keep pushing the lanes and giving you more space on the map. In TOME, there is no need for last hitting minions. Both experience and gold are earned by nearby defeated enemy minions. The reward is shared equally between all nearby teammates. Items can be bought during the match in the lower-left corner of the screen. You may buy items from anywhere on the map. To collect an item, remain still and channel for a few seconds. *tip* It’s best to buy items while waiting to recover your health or resurrecting. (pic)Click the ‘Open Shop’ button to open the shop. Your current gold total is shown at the top of the shop, that’s the amount you can use to purchase items with. Defeating Morthul increases the Might of your minions, and adds lifesteal to their attacks for a limited time. *tip* Attack Morthul with teammates to take it down quickly. Check out our TOME: Guardians Guide to find out about all the characters in the game.